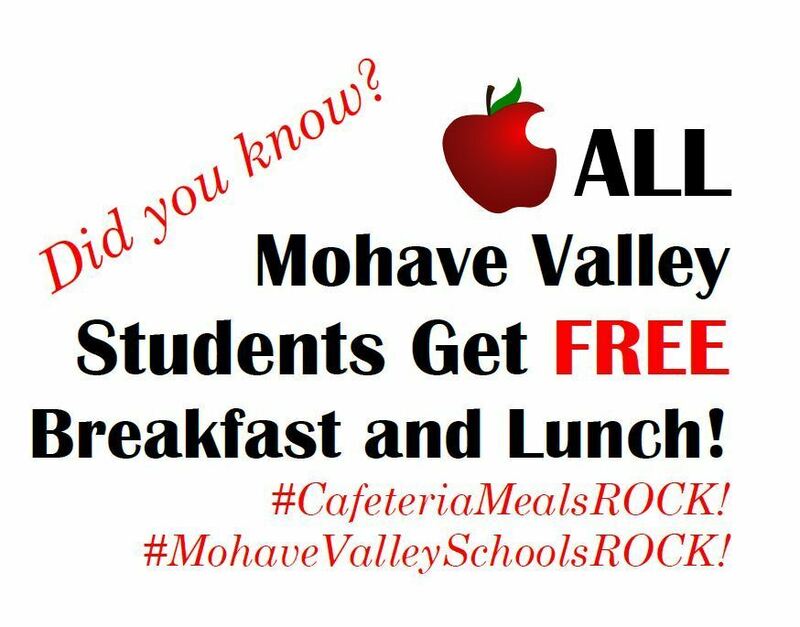 Mohave Valley Elementary School District 16 will be participating in the National School Lunch Program and School Breakfast Program. As part of this program, Mohave Valley Elementary Schools implementing Special Assistance Programs will offer healthy meals every school day at NO COST to the students due to the implementation of the Community Eligibility Provision for school year 2019. Students will be able to participate in these meal programs without having to pay a fee or submit a household application. To file a program complaint of discrimination, complete the USDA Program Discrimination Complaint Form, AD-3027, found online at HERE, and at any USDA office, or write a letter addressed to USDA and provide in the letter all of the information requested in the form. To request a copy of the complaint form, call (866) 632-9992. Submit your completed form or letter to USDA by: (1) mail: U.S. Department of Agriculture, Office of the Assistant Secretary for Civil Rights, 1400 Independence Avenue, SW, Washington, D.C. 20250-9410; (2) fax: (202) 690-7442; or (3) email: program.intake@usda.gov.